Join us today at 2pm ET to learn How to Become a Rainmaker for Listing Leads! Learn how to make it happen… not wait for it to happen. Great analogy, Ducks and Real Estate Agents. I see agents in the office waiting around for a suspect buyer or seller to drop in, doing nothing on their own to generate business. Or, they have the same pool of nine friends that they call over and over again chit chatting about everything and anything and then just before hanging up… “Oh, if you know someone who wants real estate, have them give me a call.” Bobbing like the ducks in a pond. Now let’s talk about the Duck that waited until the food was delivered and then paddled over begging for a first bite. I don’t really see the difference for the exception, that duck paid stronger attention to the training. But prospecting? Here is my two cents, 90% of agents look at prospecting as a failure-reinforcing chore. That is, they are told to knock doors, talk to for sale by owners, solicit people at the grocery store, and/or call everyone they know, everyone they’ve worked with, everyone they go to church with, anyone they have ever met that can fog a mirror, and tell them they want their real estate business. For people who have not done this before, this becomes a daunting task. So one sunny morning, after a night of self talk and writing prospecting goals, they go into the office, well dressed with their best positive attitude face and announce, “I’m going prospecting today and get a buyer or a listing before I come back.” With great intentions they get three immediate no’s and go home to watch Ellen or Pawn Stars and retreat into darkness. Henceforth, the word ‘Prospect’ bubbles up in their stomachs like greasy chili and failure is reinforced. Knowing that nether Extroverts or Introverts make good real estate salespeople; one is too pushy and the other doesn’t belong in the people business. The BEST real estate salesperson is the Ambivert. If 100 on a scale is the Extrovert and 0 is dead, the Ambivert falls between 30 and 80 (my perception). But still, even Ambiverts will succumb to prospecting fear and reluctance. In my studies I learned that if a ‘word’ or ‘thought’ affects you negatively, reframe it. For example: after dinner, with a group of students at a Chinese restaurant, we were opening our fortune cookies and reading them aloud. I was the last one to open and it was empty. In unison, the group said, “Oh no!” Now, I don’t know about you, but I hate pity. So I reframed it, “How blessed I am to already have all the fortune I can hold!” and everyone went “Ahhhh!” Now I like “Ahhhh!” So why not reframe the word “Prospect”? I simply call it ‘Lead Generation Activity”\’, just like Gary Keller did in his book, The Millionaire Real Estate Salesman. Lead Generation is not a task or a chore, it’s a way of life. A WAY OF LIFE of the real estate salesman! Lead Generation Activity is everything you do, everyplace you go, and like The Police sang, “Every Breath You Take” is a lead generation activity. 1.) 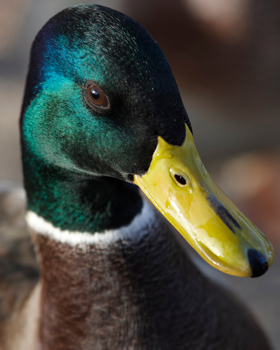 The smart duck did not “paddle over begging”. He raced over with a look of expectation. 2.) My daddy told me if it looks like a duck, walks like a duck and quacks like a duck – IT’S A DUCK. A reason the the money is on WALL STREET-NOT WALL OFFICE. When I knock on doors speak to owners I explain I am their exclusive professional broker. That any questions about real estate I can answer. That there is no need to call anyone else. Finally got calling night back up & running in office. In first two weeks every agent has had at least 3 appointments.